almost a year ago that we're experimenting with mobile-first indexing, we said we'd update publishers about our progress, something that we've done the past few months through public talks in office hours on Hangouts on Air and at conferences like Pubcon. 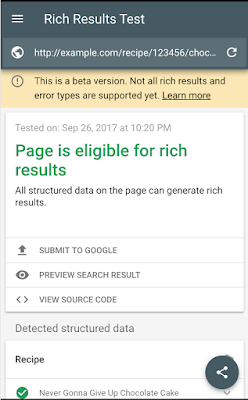 To recap, currently our crawling, indexing, and ranking systems typically look at the desktop version of a page's content, which may cause issues for mobile searchers when that version is vastly different from the mobile version. Mobile-first indexing means that we'll use the mobile version of the content for indexing and ranking, to better help our – primarily mobile – users find what they're looking for. 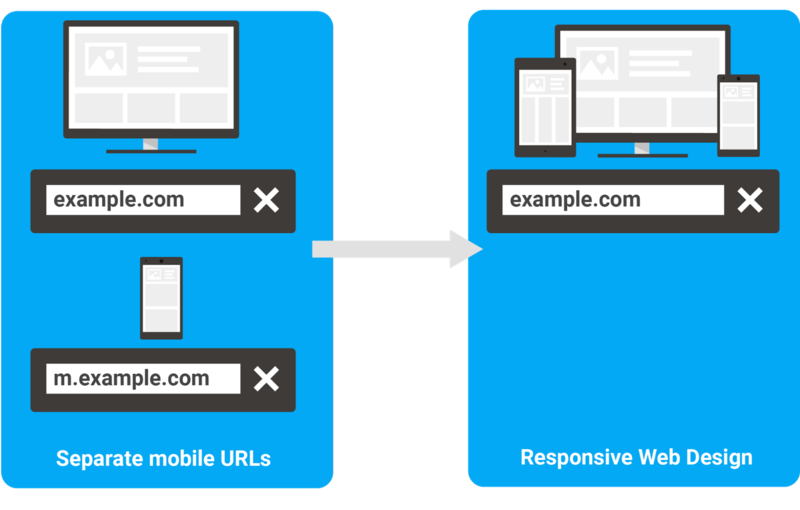 Webmasters will see significantly increased crawling by Smartphone Googlebot, and the snippets in the results, as well as the content on the Google cache pages, will be from the mobile version of the pages. 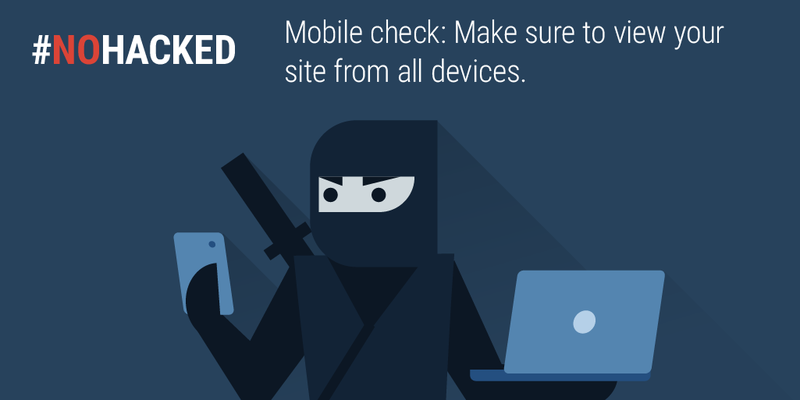 We continue to be cautious with rolling out mobile-first indexing. We believe taking this slowly will help webmasters get their sites ready for mobile users, and because of that, we currently don't have a timeline for when it's going to be completed. If you have any questions, drop by our Webmaster forums or our public events. When we announced almost a year ago that we're experimenting with mobile-first indexing, we said we'd update publishers about our progress, something that we've done the past few months through public talks in office hours on Hangouts on Air and at conferences like Pubcon. to organize the world's information, we want to guide Google users to the highest quality content, the principle exemplified in our quality rater guidelines. Professional publishers provide the lion’s share of quality content that benefits users and we want to encourage their success. The ecosystem is sustained via two main sources of revenue: ads and subscriptions, with the latter requiring a delicate balance to be effective in Search. Typically subscription content is hidden behind paywalls, so that users who don’t have a subscription don’t have access. Our evaluations have shown that users who are not familiar with the high quality content behind a paywall often turn to other sites offering free content. It is difficult to justify a subscription if one doesn't already know how valuable the content is, and in fact, our experiments have shown that a portion of users shy away from subscription sites. Therefore, it is essential that sites provide some amount of free sampling of their content so that users can learn how valuable their content is. The First Click Free (FCF) policy for both Google web search and News was designed to address this issue. It offers promotion and discovery opportunities for publishers with subscription content, while giving Google users an opportunity to discover that content. Over the past year, we have worked with publishers to investigate the effects of FCF on user satisfaction and on the sustainability of the publishing ecosystem. We found that while FCF is a reasonable sampling model, publishers are in a better position to determine what specific sampling strategy works best for them. Therefore, we are removing FCF as a requirement for Search, and we encourage publishers to experiment with different free sampling schemes, as long as they stay within the updated webmaster guidelines. We call this Flexible Sampling. 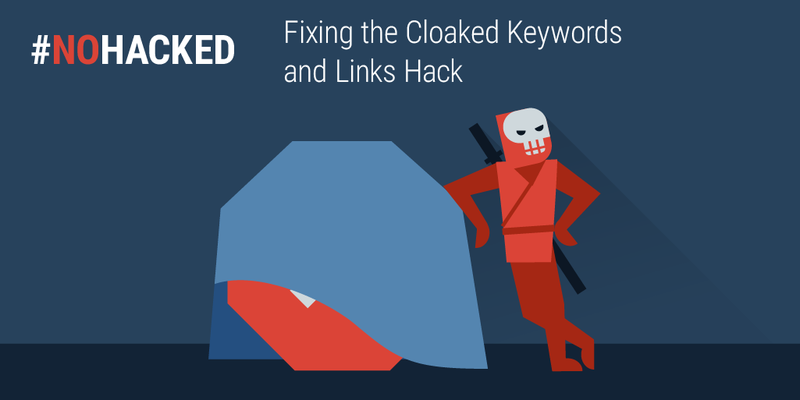 One of the original motivations for FCF is to address the issues surrounding cloaking, where the content served to Googlebot is different from the content served to users. Spammers often seek to game search engines by showing interesting content to the search engine, say healthy food recipes, but then showing users an offer for diet pills. This “bait and switch” scheme creates a bad user experience since users do not get the content they expected. Sites with paywalls are strongly encouraged to apply the new structured data to their pages, because without it, the paywall may be interpreted as a form of cloaking, and the pages would then be removed from search results. Based on our investigations, we have created detailed best practices for implementing flexible sampling. There are two types of sampling we advise: metering, which provides users with a quota of free articles to consume, after which paywalls will start appearing; and lead-in, which offers a portion of an article’s content without it being shown in full. For metering, we think that monthly (rather than daily) metering provides more flexibility and a safer environment for testing. The user impact of changing from one integer value to the next is less significant at, say, 10 monthly samples than at 3 daily samples. All publishers and their audiences are different, so there is no single value for optimal free sampling across publishers. However, we recommend that publishers start by providing 10 free clicks per month to Google search users in order to preserve a good user experience for new potential subscribers. Publishers should then experiment to optimize the tradeoff between discovery and conversion that works best for their businesses. Lead-in is generally implemented as truncated content, such as the first few sentences or 50-100 words of the article. Lead-in allows users a taste of how valuable the content may be. 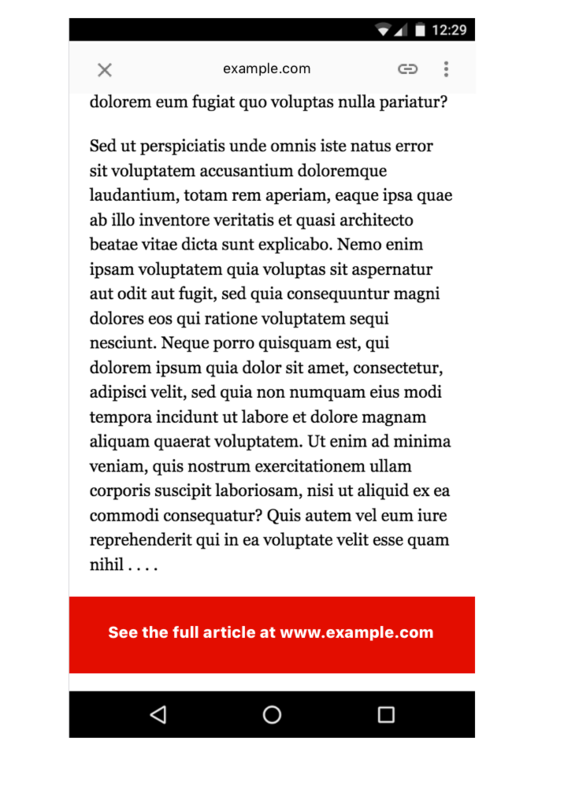 Compared to a page with completely blocked content, lead-in clearly provides more utility and added value to users. We are excited by this change as it allows the growth of the premium content ecosystem, which ultimately benefits users. We look forward to the prospect of serving users more high quality content! In Google’s mission to organize the world's information, we want to guide Google users to the highest quality content, the principle exemplified in our quality rater guidelines. Professional publishers provide the lion’s share of quality content that benefits users and we want to encourage their success. : Starting today, impressions and clicks stats for job listing pages and job details pages are available in the Search Analytics report in Search Console. Read more about how Jobs impressions and clicks are counted in the help centre. If you have questions, head to the webmaster forums. 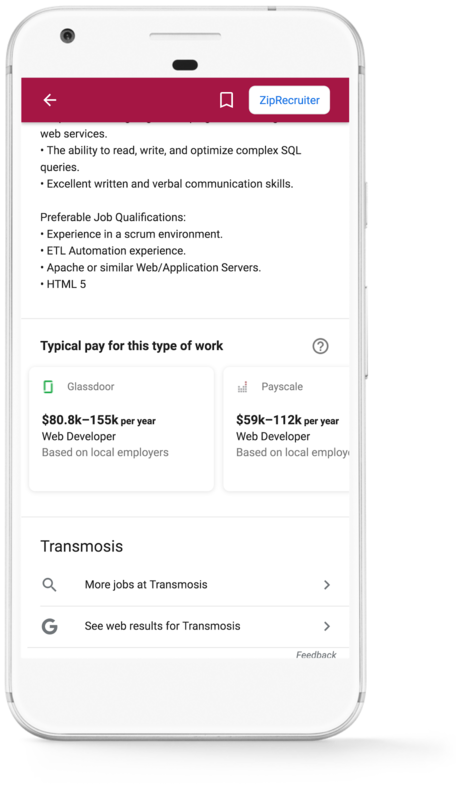 At Google I/O this year, we announced Google for Jobs, a new company-wide initiative focused on helping both job seekers and employers, through collaboration with the job matching industry. One major part of this effort is launching an improved experience for job seekers on Google Search. We’re happy to announce this new experience is now open for all developers and site owners. 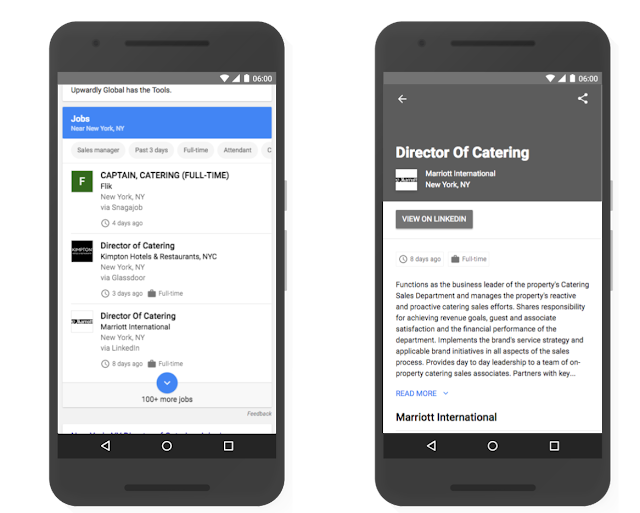 Prominent place in Search results: your postings are eligible to be displayed in the in the new job search feature on Google, featuring your logo, reviews, ratings, and job details. More, motivated applicants: job seekers can filter by various criteria like location or job title, meaning you’re more likely to get applicants who are looking exactly for that job. Submit a sitemap (or an RSS or Atom feed) with a <lastmod> date for each listing. 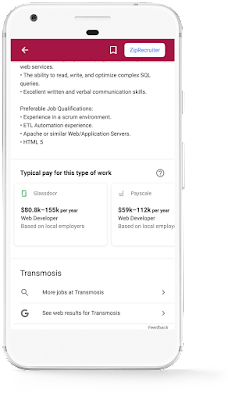 If you have more than 100,000 job postings or more than 10,000 changes per day, you can express interest to use the High Change Rate feature. 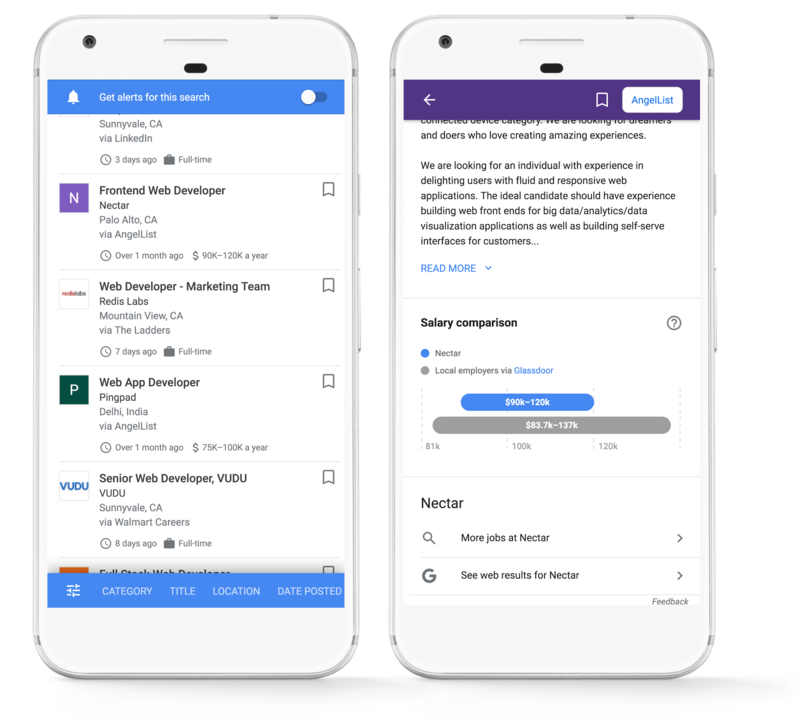 In the coming weeks, we’ll add new job listings filters in the Search Analytics report in Search Console, so you can track clicks and impressions for your listings. 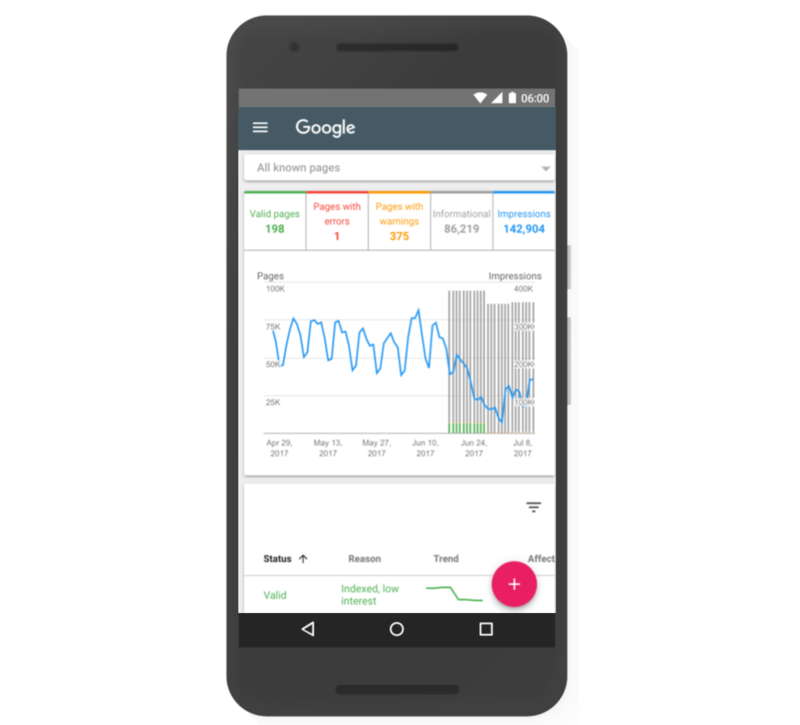 July 20, 2017 update: Starting today, impressions and clicks stats for job listing pages and job details pages are available in the Search Analytics report in Search Console. Read more about how Jobs impressions and clicks are counted in the help centre. If you have questions, head to the webmaster forums. Search result snippets are much the same; they help people decide whether or not it makes sense to invest the time reading the page the snippet belongs to. The content of the page is an obvious choice for result snippets, and the content that can be extracted is often the most relevant to people’s queries. However, there are times when the content itself isn't the best source for a snippet. For instance, when someone searches for a publishing company for their book, the relevant homepages in the result set may contain only a few images describing the businesses and a logo, and maybe some links, none of which are particularly useful for a snippet. The logical fallback in cases when the content of a page doesn't have much textual content for a search result snippet is the meta description. This should be short blurbs that describe accurately and precisely the content in a few words. Finally, when a page doesn't have much textual content for snippet generation and the meta description is missing, unrelated to the page, or low quality, our fallback was DMOZ, also known as The Open Directory Project. For over 10 years, we relied on DMOZ for snippets because the quality of the DMOZ snippets were often much higher quality than those provided by webmasters in their meta description, or were more descriptive than what the page provided. With DMOZ now closed, we've stopped using its listings for snippeting, so it's a lot more important that webmasters provide good meta descriptions, if adding more content to the page is not an option. Good meta descriptions are short blurbs that describe accurately the content of the page. They are like a pitch that convince the user that the page is exactly what they're looking for. For more tips, we have a handy help center article on the topic. Remember to make sure that both your desktop and your mobile pages include both a title and a meta description. What are the most common problems with meta descriptions? Because meta descriptions are usually visible only to search engines and other software, webmasters sometimes forget about them, leaving them completely empty. It's also common, for the same reason, that the same meta description is used across multiple (and sometimes many) pages. On the flip side, it's also relatively common that the description is completely off-topic, low quality, or outright spammy. These issues tarnish our users' search experience, so we prefer to ignore such meta descriptions. Is there a character limit for meta descriptions? There's no limit on how long a meta description can be, but the search result snippets are truncated as needed, typically to fit the device width. What will happen with the "NOODP" robots directive? With DMOZ (ODP) closed, we stopped relying on its data and thus the NOODP directive is already no-op. 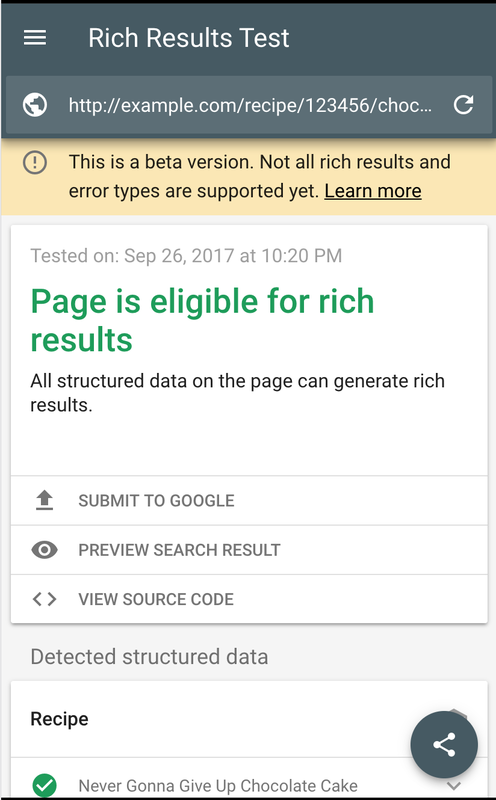 Can I prevent Google from using the page contents as snippet? You can prevent Google from generating snippets altogether by specifying the "nosnippet" robots directive. There's no way to prevent using page contents as snippet while allowing other sources. Before buying a book, people like to get a snapshot of how they’re about to spend a few hours reading. They'll take a look at the synopsis, the preface, or even the prologue just to get a sense about whether they'll like the book. With 2017 well underway, we wanted to take a moment and share some of the insights we gathered in 2016 in our fight against webspam. 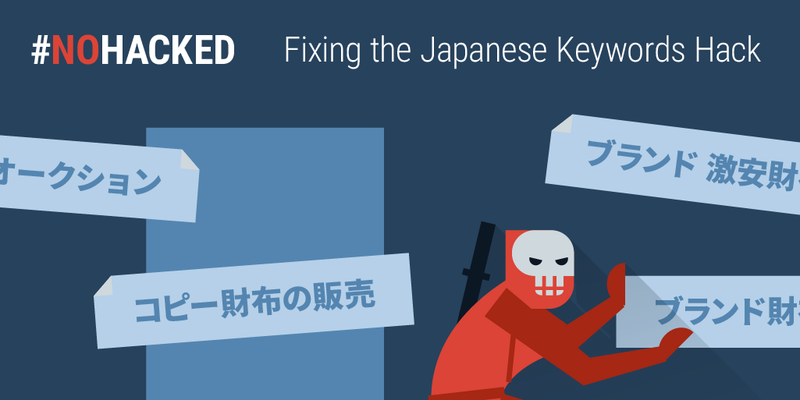 Over the past year, we continued to find new ways of keeping spam from creating a poor quality search experience, and worked with webmasters around the world to make the web better. We do a lot behind the scenes to make sure that users can make full use of what today’s web has to offer, bringing relevant results to everyone around the globe, while fighting webspam that could potentially harm or simply annoy users. Website security continues to be a major source of concern. 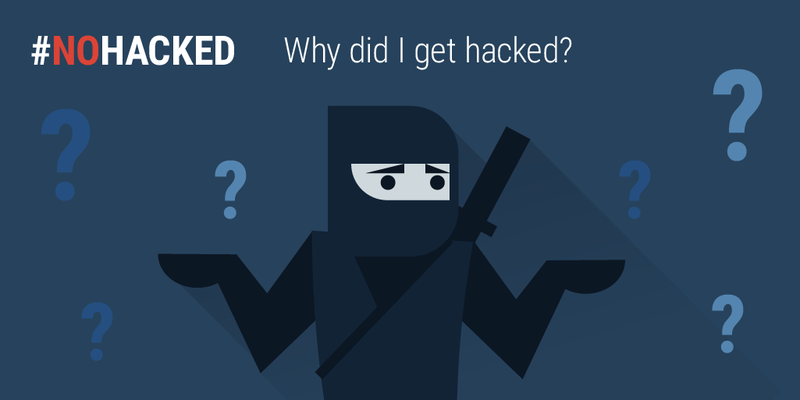 Last year we saw more hacked sites than ever - a 32% increase compared to 2015. 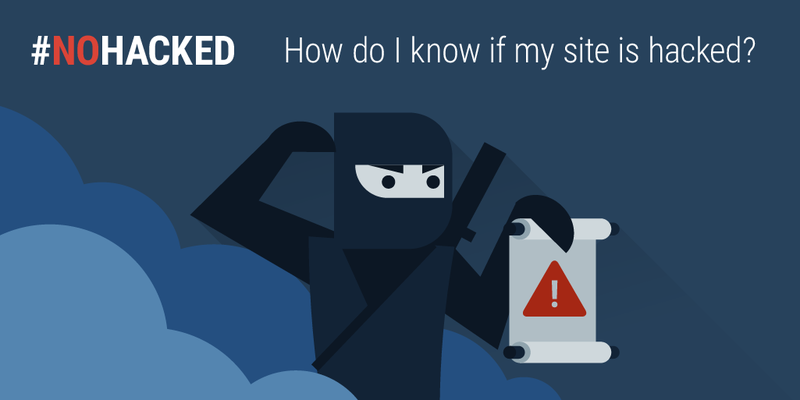 Because of this, we continued to invest in improving and creating more resources to help webmasters know what to do when their sites get hacked. 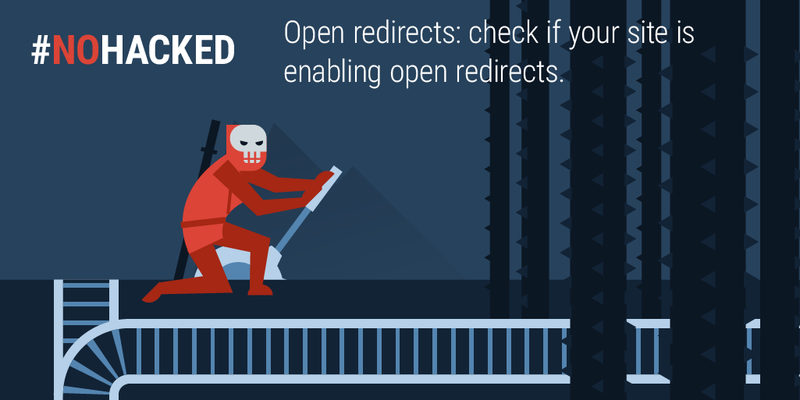 We continued to see that sites are compromised not just to host webspam. 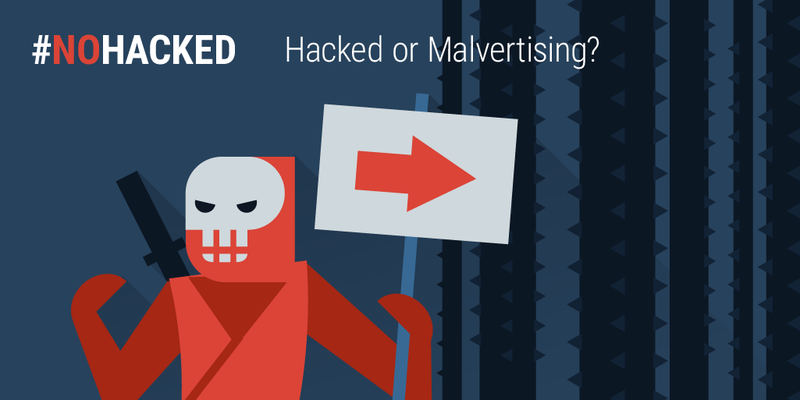 We saw a lot of webmasters affected by social engineering, unwanted software, and unwanted ad injectors. 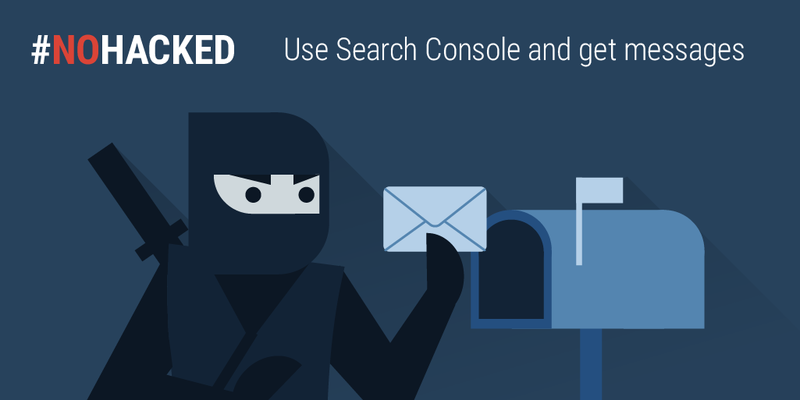 We took a stronger stance in Safe Browsing to protect users from deceptive download buttons, made a strong effort to protect users from repeatedly dangerous sites, and we launched more detailed help text within the Search Console Security Issues Report. Since more people are searching on Google using a mobile device, we saw a significant increase in spam targeting mobile users. 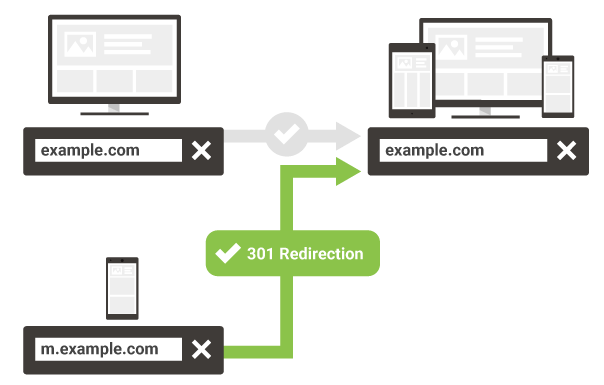 In particular, we saw a rise in spam that redirects users, without the webmaster’s knowledge, to other sites or pages, inserted into webmaster pages using widgets or via ad units from various advertising networks. 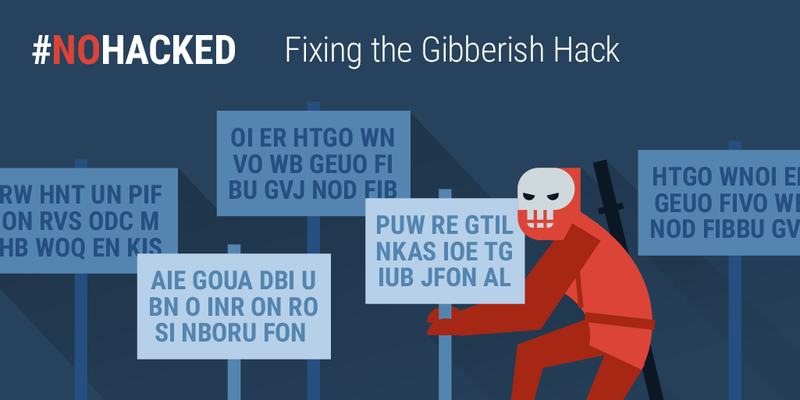 We continued to refine our algorithms to tackle webspam. We made multiple improvements to how we rank sites, including making Penguin (one of our core ranking algorithms) work in real-time. 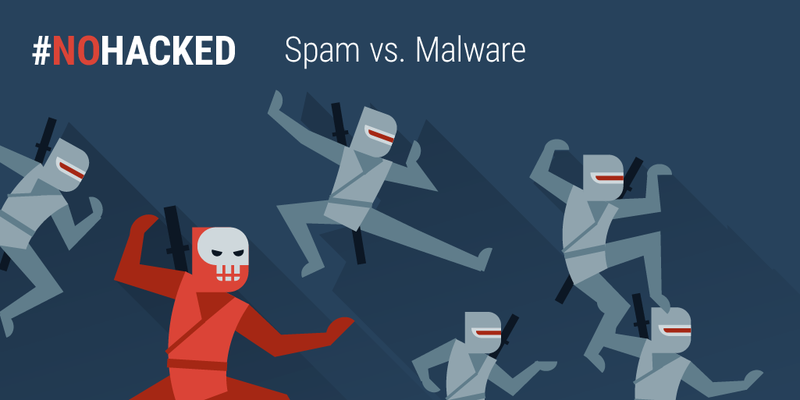 The spam that we didn’t identify algorithmically was handled manually. 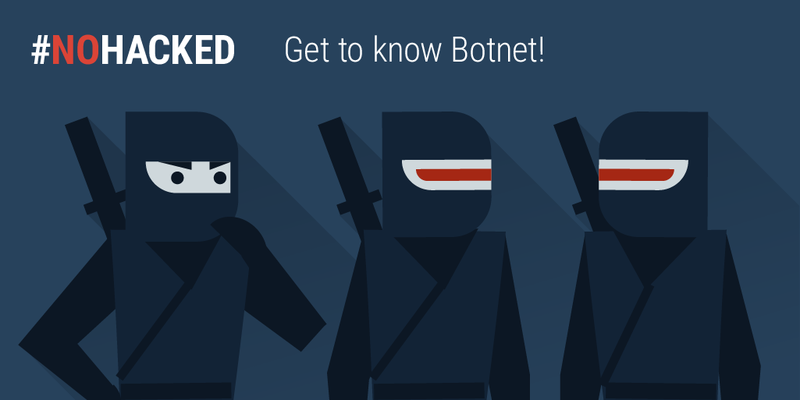 We sent over 9 million messages to webmasters to notify them of webspam issues on their sites. 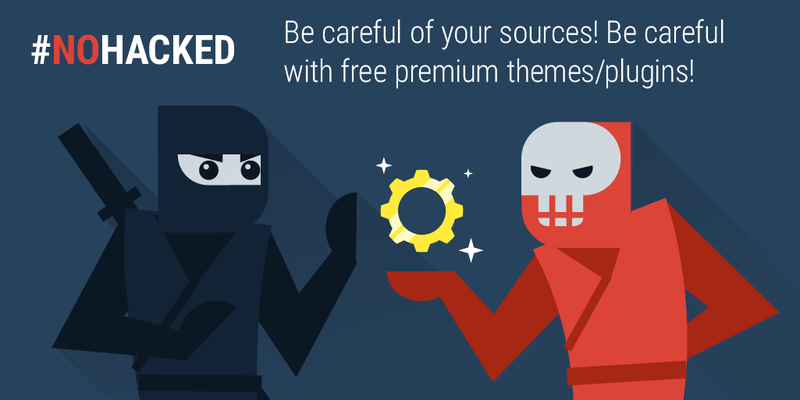 We also started providing more security notifications via Google Analytics. We performed algorithmic and manual quality checks to ensure that websites with structured data markup meet quality standards. 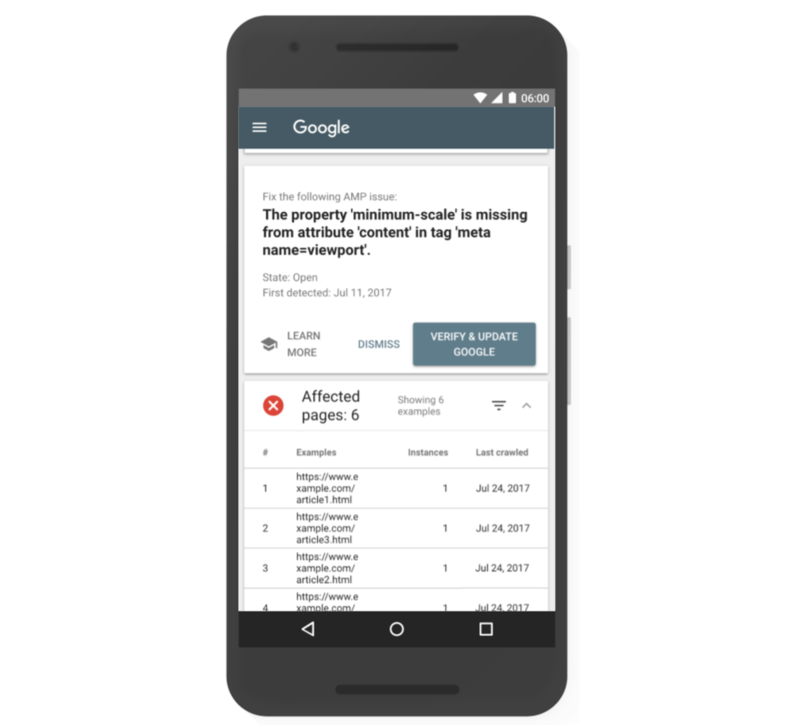 We took manual action on more than 10,000 sites that did not meet the quality guidelines for inclusion in search features powered by structured data. In 2016 we received over 180,000 user-submitted spam reports from around the world. 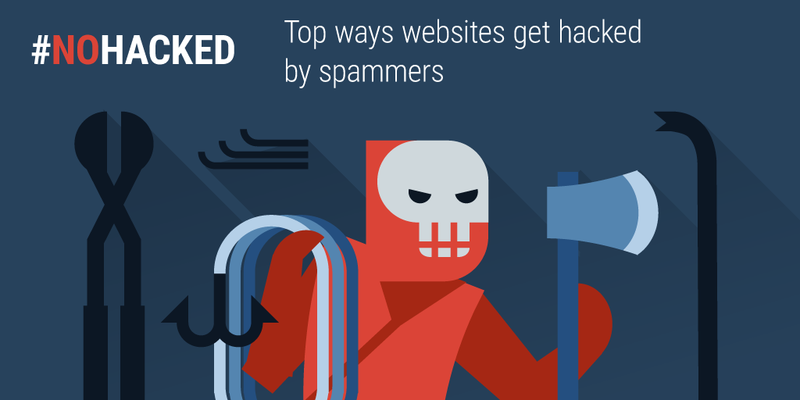 After carefully checking their validity, we considered 52% of those reported sites to be spam. 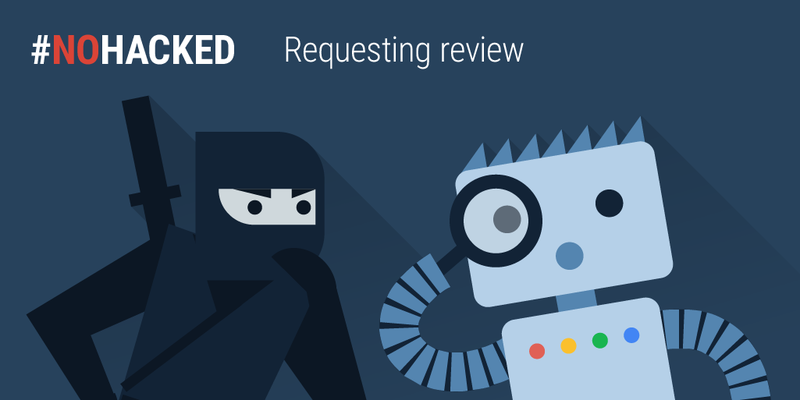 Thanks to all who submitted reports and contributed towards a cleaner and safer web ecosystem! We conducted more than 170 online office hours and live events around the world to audiences totaling over 150,000 website owners, webmasters and digital marketers. We continued to provide support to website owners around the world through our Webmaster Help Forums in 15 languages. Through these forums we saw over 67,000 questions, with a majority of them being identified as having a Best Response by our community of Top contributors, Rising Stars and Googlers. We had 119 volunteer Webmaster Top Contributors and Rising Stars, whom we invited to join us at our local Top Contributor Meetups in 11 different locations across 4 continents (Asia, Europe, North America, South America). We think everybody deserves high quality, spam-free search results. We hope that this report provides a glimpse of what we do to make that happen.